What does a cake designer do? Would you make a good cake designer? Take our career test to find out how you match with this and over 800 other careers. What is the workplace of a Cake Designer like? A cake designer is a professional baker who specializes in making and decorating cakes for all occasions. Examples include cakes for weddings, birthdays, holidays, and other special events. Cakes are often the centrepiece of the dessert table. As such, they have to look amazing. Designers bake and decorate custom cakes based on the requirements of customers. Creative designs are used and adapted to produce a unique and visually striking product for each customer. A cake designer starts with baking the cakes. This process involves mixing ingredients using commercial quality baking equipment and tools. The cake batter is then transferred to pans where it is placed in ovens and baked for the appropriate amount of time. After the cake is allowed to cool, the designer begins to assemble the end product. This can often involve placing one or more pieces of cake on top of one another to get a desired look. Cake stands and other similar products may be used to help achieve a desired multi tier presentation. 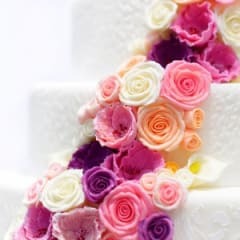 Once completed, a cake designer is then able to decorate the cake. To decorate a cake, he or she uses various specialized tools including moulds, spatulas, decorating pens and stencils. 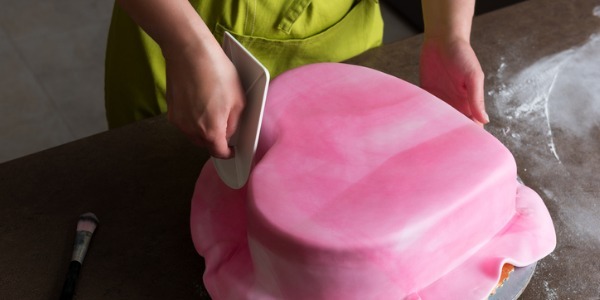 Frosting or fondant is placed on the cake and then moulded into a certain shape. Cake designers manipulate the frosting or fondant to create a custom designed cake based on instructions provided by the customer. Once finished, the cake is either picked up by the client or it is delivered. Delivery involves packaging the cake for transport and driving the finished product to the appropriate location. Designers ensure that cakes are delivered safely to the customer's location at the date and time requested. Are you suited to be a cake designer? Cake designers have distinct personalities. They tend to be artistic individuals, which means they’re creative, intuitive, sensitive, articulate, and expressive. They are unstructured, original, nonconforming, and innovative. Some of them are also investigative, meaning they’re intellectual, introspective, and inquisitive. Does this sound like you? Take our free career test to find out if becoming a cake designer is right for you. Designers typically own small shops from which they work and produce their cakes. A large workspace for baking, assembling and decorating cakes is required. A commercial quality oven is typically used. Busy cake designers work long hours and weekends to fulfill the demands of their customers, and long stretches of work without sitting down or taking a break is fairly common. Cake designers often hire assistants, as there are usually a series of different jobs being completed or planned at the same time. Typically, all hands are often working together in an assembly line fashion to make sure the cake is created and delivered on time.